We sat waiting as the carpool line slowly drifted through the horseshoe driveway in front of the school. We had positioned ourselves a bit out of sight from the teachers’ viewpoints. He leaned over and kissed my cheek and I then kissed his. My first romance at the ripe age of five. I may have started young, but I would soon enter a boy-less land for a long time. From there, boy-less land entered and I had no dating life. In high school, most girls I knew had a least dated a little, but I had only flirted a little here and there. At the time, this bothered me. I was sure something must be wrong with me. Now I’m thankful because those years of boy-less land would prove to be very formative years for me. Years in which I could better understand how a man should treat me, love me, and honor me. Years in which I could learn what a Godly relationship might look like. My standards and convictions were solidifying as I watched everyone around me dating. Have you heard of those debutante coming out parties? 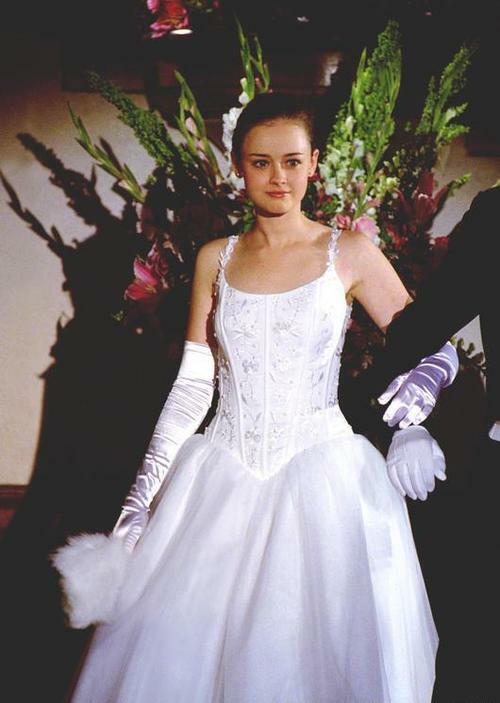 I remember Rory’s coming out party on The Gilmore Girls. Well, I never had one of those, but my freshman year kind of felt like a coming out year. Boys started to notice me and I finally had some confidence to not cower away from interacting with them. Boy-less land dissipated and while I thought I was mature and totally ready for a serious relationship, I still had much to learn – mostly about myself. After a bit of a roller coaster through a couple relationships that freshman year, I decided to calm the crazy down a bit. The heartaches I experienced that year were real and tough. Moving forward, I was more cautious. 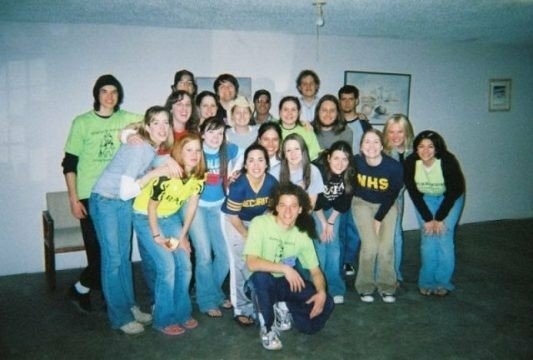 My senior year of college I joined the leadership team for our BSM (Baptist Student Ministry). I was assigned to a be a freshman bible study leader and I expected to be paired up with a male counterpart. In comes Cody. I had met him sometime before then, but don’t really remember when. He was tall. He had long locks. He wore overalls and jumpsuits that made him looks like a janitor sometimes. I found him to be cute, weird, witty, and smart, but never thought of him as anything more than a friend. He says that he thought I was cute, but that the song lyrics from She’s So High would play in his head when he thought of me. So for a year we led a weekly bible study together. I can remember admiring his qualities as a leader, but I also felt the friction between his less “planner” side and my “plan everything ahead always”. On one of our outings with the group of freshman students we led together. We both graduated in December of the following year and shortly after graduation we both became campus missionaries for BSMs on different college campuses. I had stayed with my hometown college to serve as a campus missionary and he moved to serve at a college in the panhandle. Over the next year and half, I would see Cody on occasion when he would come back to our hometown and college for a visit . 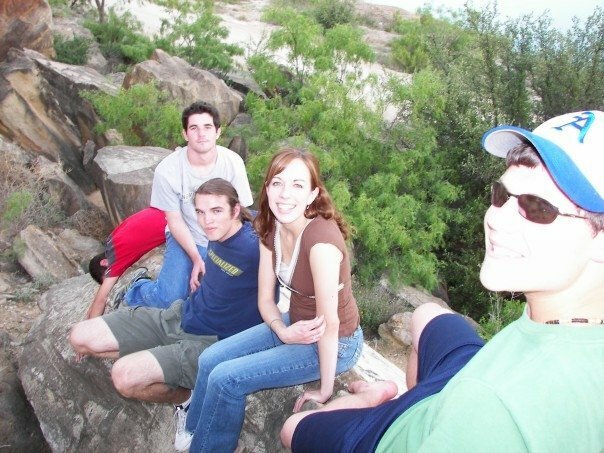 We had mutual friends and would hang out in groups together. Cody is standing behind me on the left side. 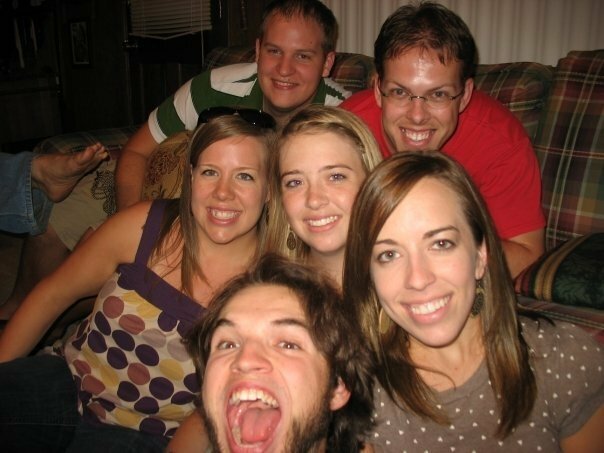 This was a picture taken on a spring break mission trip with BSM. One cold November day, while he was in town visiting his family and friends, Cody came into my office at the BSM and sat himself down. I was surprised that he was purposefully spending one on one time with me when there were other friends hanging out just beyond my office door. He told me that he would be moving from the panhandle to DFW area for a job. He was excited, but also sad to be leaving his ministry position up north. He said that the move kind of felt like he was breaking up with a girlfriend. Something about his sentiment and vulnerability in that moment caught my attention. I wished him well on his new journey to the Big D. Months would pass before I would see him again. It was a hot and dry summer in 2008. My term as campus missionary was completed and I was now in the process of preparing to move out of my hometown/college town and start fresh. My plans were to traverse to Ft Worth where I would begin a Master’s Program in Marriage and Family Counseling. While this had nothing to do with my undergrad (music ed), I was very interested in pursuing this field. It was just a few weeks before I would move to DFW. I had just finished a walk near some campgrounds one evening when my phone rang. It was Cody. I found it odd that he was calling me, but he told me that he and his buddy Paul were in town and were getting some friends together. He had originally tried calling my roommate and best friend, Kristin, to invite both of us over, but she didn’t answer her phone. So now we were talking and for some strange reason, I found myself flirting with him. 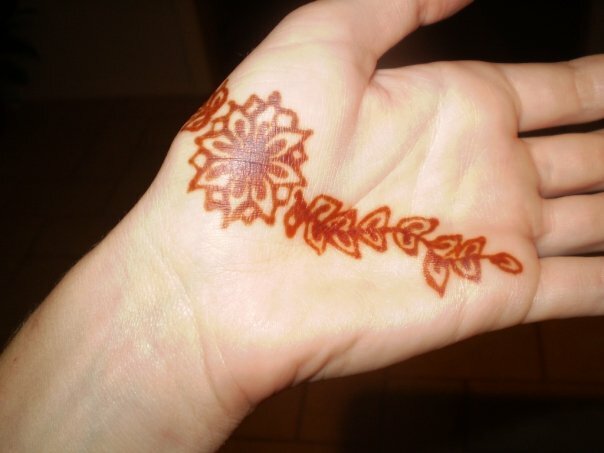 The actual henna tattoo I had that weekend. But it was that weekend, in the hot boiling summer of 2008 that something shifted for both of us. What was once a casual friendship over years and time and space apart was now unfolding into something new. Things would never be the same.